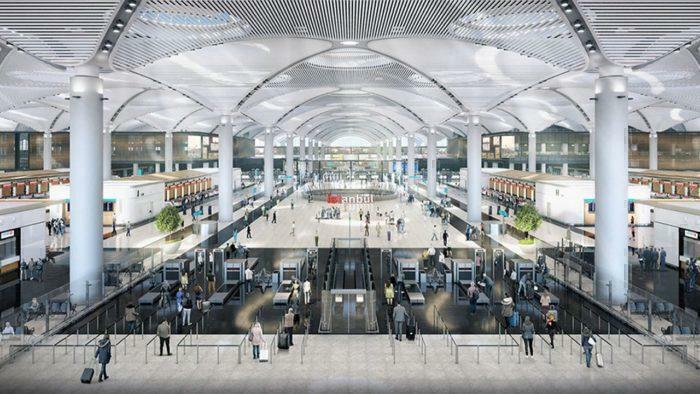 The newest Turkish airport in Istanbul opens its doors for the first time this week. Set to be the world’s largest once fully complete, the airport construction has been plagued by delays, environmental concerns and workplace accidents. 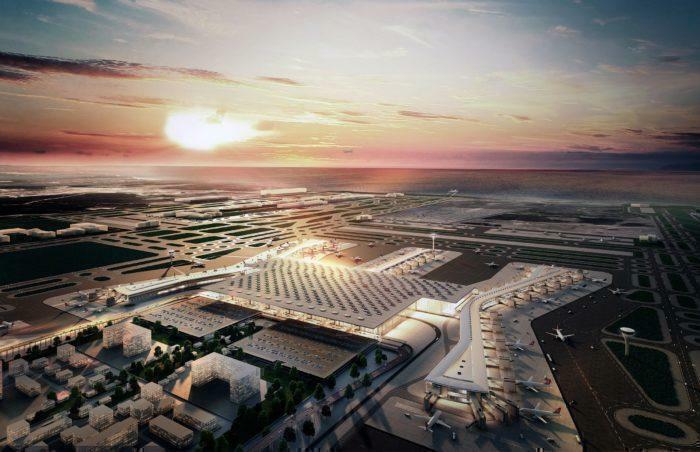 Although the new Istanbul Airport opens this week, the opening in more symbolic than anything, as only a handful of flights will operate until later in the year. The new airport is pretty impressive. The main terminal area covers 1,300,000 square metres (14,000,000 square feet) and has capacity for 88 aircraft. If enough capacity is filled and expansion plans go ahead as expected, it will become the world’s biggest airport, handling up to 200 million passengers a year. By the time it’s fully operational, it will boast four terminals and six runways, although at this stage it is launching with only two. The 4 million square metres (43 million square feet) of apron space means the airport is set up to handle even the largest of aircraft, including the Airbus A380. It is hoped that it’s current capacity of 90 million passengers will be reached by 2012, allowing it to expand to 150 million by 2023 and 200 million by 2028. This would put it at the top of the table for largest airport in the world. The airport is designed to be technologically advanced too. Using mobile apps and artificial intelligence, it’s been engineered to be at the cutting edge of airport design. 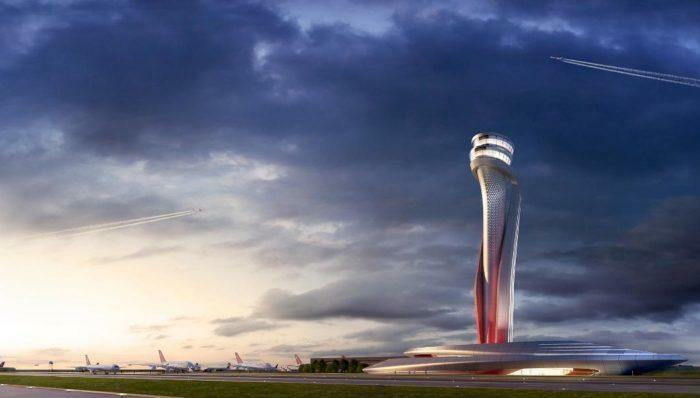 The tulip shaped control tower also won an award for architectural innovation in 2016. The Turkish government have boasted of its green credentials too. Featuring high energy efficiency, rainwater harvesting and advanced recycling. However, environmental groups have hit back at the construction, claiming it caused mass deforestation of an ecologically important area. Costing $12bn to construct, the Turkish airport has been plagued with problems, from environmental damage to workplace accidents, with at least 30 workers dying during the construction. Accusations are that rushing the final stages of construction and ignoring the rights of the 30,000 workers on site contributed to a ridiculously high death toll. Uncontrolled traffic of thousands of trucks, falls from height and electrical accidents have been said to contribute to the death toll. Governmental opponents claim the number of fatalities could be as high as 400, but that families have been paid up to $100,000 in hush money to keep quiet. The government has so far admitted to 27 deaths, which is still a substantial number. 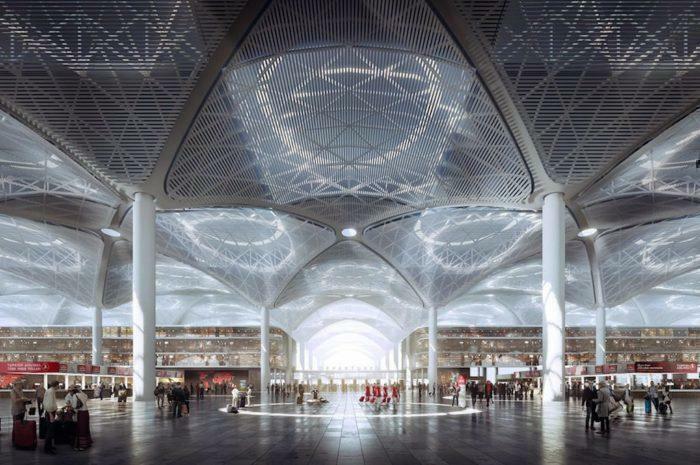 The old Istanbul airport, Ataturk (IST) will continue to operate until the end of the year, but from January 2019 will move it’s code to the new facility. Once closed, Ataturk will continue as a private airfield until its lease comes to an end in 2021.
Who will fly from the new airport? 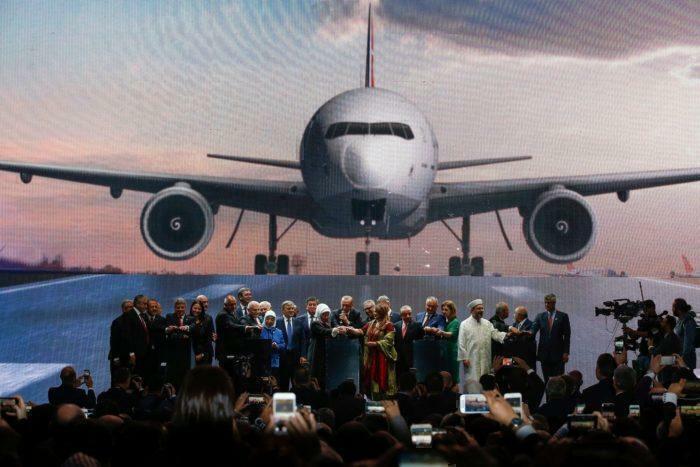 According to the operators, the largest customer of the new airport will be the nation’s flag carrier, Turkish Airlines. They expect the first destinations to begin today, flying to Ankara and Ercan, with further operations gradually moving to the new facility over the next few months. Confirmed so far, Turkish will operate routes to Antalya and Izmir on 1st November, adding Baku on the 8th November. It is expected to move all other flights to the new airport by the end of the year. By the end of the year, the airport is expecting to handle a daily load of 2,000 aircraft, serving 350 destinations by more than 250 carriers. When do British Airways start using the NEW Istanbul airport please? Looking at Wikipedia (may be wrong) – British Airways starts using the airport on April 5th. I would tweet BA on Twitter and see what they say.